After state leaders fail to protect Utahns, federal help needed. On August 3, Rep. Jim Matheson, D-Utah, conducted a roundtable discussion in Salt Lake City about potential issues associated with the importation and disposal of radioactive waste in Utah. The discussion was held, in part, to gather support for the RID Act, of which he is a primary sponsor, which essentially bans the importation of foreign radioactive waste into the United States, unless exempted by presidential order for reasons of national security or unless the waste is generated on an American facility overseas. He also touched on two other issues related to EnergySolutions and their operations in Tooele County, the “down-blending” of radioactive waste and the reclassification of depleted uranium by the Nuclear Regulatory Commission as “Class-A” low-level waste. In most cases, I believe that federal regulation is onerous, unnecessary, and potentially in violation of the rights of the states and the individuals therein. In this particular case, however, I have to argue that not only is increased federal regulation a good thing, it is absolutely necessary. 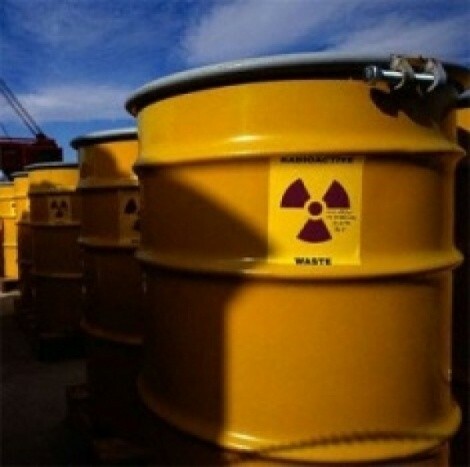 Utah state officials, through the Radiation Control Board (RCB) and the Legislature, have abdicated their responsibilities to regulate radioactive waste disposal in Utah. Safety violations have been overlooked repeatedly, exemptions have been granted, and EnergySolutions continues to put the health and safety of Utahns at risk. Federal regulations require that radioactive waste-disposal sites be owned by the government. The motivation behind that regulation is that private companies can fail, thereby leaving the government with the burden of cleaning up and/or maintaining a radioactive disposal site. Despite those regulations, the Utah RCB granted EnergySolutions (then EnviroCare) an exemption, allowing them to not only operate, but also own, the facility in Clive. By way of comparison, there are two other similar facilities in the United States, one in Washington and one in South Carolina. They are both government-owned and managed under contract by private corporations, who receive a 29% profit margin. A memo from October of 2000 said that 715 individual violations were reported at the EnergySolutions facility. The state Division of Radiation Control bundled these violations together and imposed a fine of $10,000. That equates to just under $14 per violation, less than the average cost of a parking ticket for environmental safety violations with regard to radioactive waste. The bottom line is this: the Utah RCB and Legislature are not going to protect the citizens or the environment of Utah from the abuses perpetrated by EnerySolutions. In their meeting last month, the RCB tabled a motion for a moratorium on the disposal of depleted uranium at the site, opening the door for some 49,000 metric tons to be shipped to the Clive facility from the Department of Energy, even though EnergySolutions’ own engineers acknowledged they hadn’t modeled the safety of the facility beyond 500 years and the new material has a toxic life-span in excess of 4.5 billion years. The RCB has now decided to cancel its August 11 meeting, and may get around to addressing the moratorium issue again at its Sept. 22 meeting. In the meantime, EnergySolutions has license to import and dump depleted uranium at a site that is not prepared to handle it. In cases like this, it falls to government to err on the side of public health and safety, not on the side of corporate greed and campaign contributions. Until such a time as Utah’s regulatory agency and legislators accept their own responsibilities, it falls to people like Matheson to do what he can from Washington to protect us. As private citizens we need to take responsibility as well. We need to contact all of our elected officials and instruct them to support the RID Act as well as to propose additional rules for the safe handling and disposal of radioactive waste. Republican Rep. Jason Chaffetz has signed on as a co-sponsor, but fellow GOP Rep. Rob Bishop, plus Republican Sens. Orrin Hatch and Bob Bennett, have not. Pressure needs to be placed upon them to do the right thing. This issue, though, is beyond a Utah issue at this point. We need to mobilize voters in other states to support the cause of environmental protection and to encourage their elected representatives to do the same. Only citizen action is going to protect us, as it is obvious that relying upon the government will only lead to more danger.